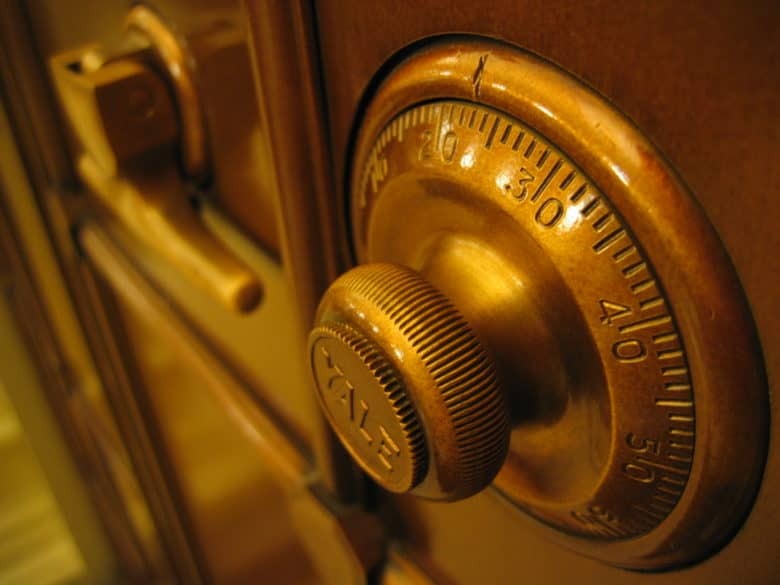 A strong passcode is the next-best thing to keeping your iPhone in a safe. It’s time to stop using that useless 6-digit passcode on your iPhone. Now that cops around the U.S. are going crazy for the GrayKey, a little box that can crack your iPhone’s passcode in hours, it has become clear that the iPhone’s regular six-digit numerical code is no longer secure. And now these boxes are available, it won’t be long before they’re in the hands of the bad guys, too, if they’re not already. The good news is, it’s super easy to change your passcode to something a lot better. The bad news? There isn’t any, unless you have the cops trying to break into your iPhone, in which case you’ve got plenty of bad news already. Thanks to Touch ID and Face ID, a long passphrase costs you almost nothing. Even if the passcode is as long as a long Tweet, you will almost never have to actually type it in. The only real limit is on whether you can remember it or not. You only have to type in your master password on a few occasions: It’s required after restarting the iPhone, for example, or when you want to update iOS. The iPhone also prompts for the password every few days, depending on how long you’ve gone without actually using the iPhone. The rest of the time, you skip the passcode entry thanks to FaceID or Touch ID. So, step one is to make sure you’re using Touch ID or Face ID. Touch ID is slow on older iPhones, but if you have an iPhone 6s or better you’re using the second-generation sensor, which is all but instant. And Face ID is also pretty much instant. To change your iPhone passcode, go to Settings > Touch ID & Passcode, and enter your current passcode to authenticate yourself. Then, tap on Change Passcode. You’ll be prompted to authenticate once again. Once you’ve done that, the familiar numerical keypad will appear, ready to accept your new code. These are your passcode options. You can choose from a 4-or-6 digit numeric code, a custom numeric code, or an alphanumeric code. 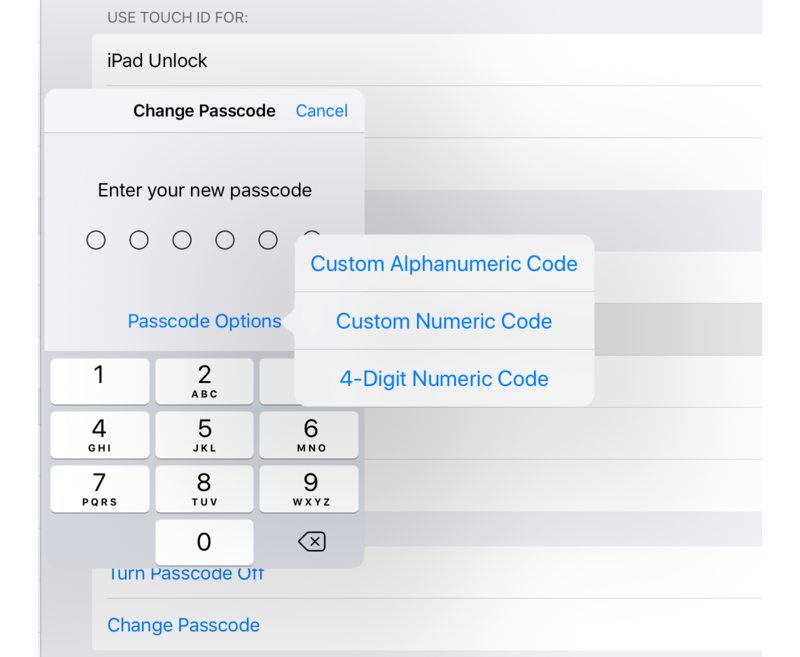 Pick Custom Alphanumeric Code from this list, and type in your new passcode. Avoid the name of your dog, or any real words, or anything that you think of. It’s much better to use a password manager like the one from Cult of Mac sponsor Dashlane. The other advantage of a password manager is that you won’t forget the new passphrase — if you have it synced to another device, that is. Picking a good passphrase is beyond the scope of this article. But once you have one that is both secure, and that you can remember, type it in. Then type it in again when prompted. You are now protected against cops using GrayKey. Instead of cracking your passcode in a matter of hours or days, they will now take weeks or months, or longer. If you’ve been using a regular numerical passcode up until now, you’ll see that, when you’re prompted to enter your new passcode, there’s a different input method. Instead of a numerical keypad, you see a full QWERTY keyboard. Just type in your passcode, and hit Enter. It might seem a pain entering a lower code (because it is), but because you hardly ever have to enter it anyway, it’s worth the hassle. Just make sure you can remember it.